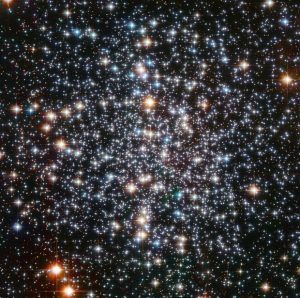 No man has seen God at any time. Therefore, Jesus cannot be God. 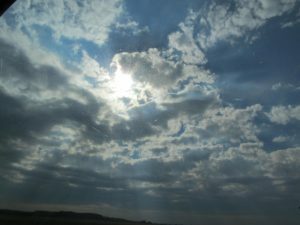 Often, no matter how well you define or explain the Trinity, the Witnesses are likely to shake their heads and tell you that what you’re saying is self-contradictory or at least that it makes no sense. The Watchtower has trained them to believe this. 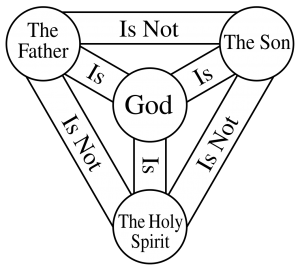 One day a friend who is a former Jehovah’s Witness asked me to explain the Trinity. We were going to part in about 10 minutes, and I burst out laughing. Then I gave it my best shot anyway and did a fairly decent job. The Watchtower teaches that only the Father is Jehovah God. 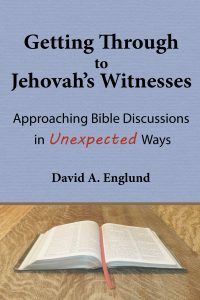 Last time, I gave you brief descriptions of what’s in each of the six chapters of Section 2 of my book, Getting Through to Jehovah’s Witnesses: Approaching Bible Discussions in Unexpected Ways. Now I’d like to give you a preview of Section 3. This section focus on how to get across to Jehovah’s Witnesses the nature of God, specifically the relationship of the Father, Son, and Holy Spirit. SelectBirthdays and Holidays Biblical Salvation Book Reviews Connect Jehovah’s Witnesses with Jesus Conscious Existence After Death False Prophecies Government The Inner Struggle of Jehovah’s Witnesses Introductory Jesus Isn’t Michael The Organizational Mindset of Jehovah’s Witnesses Resurrection Soundbites Two Class Salvation System Watchtower Leadership The Watchtower Memorial Watchtower Propaganda Witnessing Stages Witnessing to Jehovah’s Witnesses in Love Buy my book! Studying Galatians 3: What Is the Purpose of the Law? Studying Galatians 2: Are We Saved by Grace or by Law? Studying Galatians 1: What Did Paul Preach? Why Study Galatians with Jehovah’s Witnesses? Rich man’s purpose in requesting Abraham to send Lazarus to five brothers to warn them Send Lazarus back from the dead so five brothers will see that heaven and hell are real and warn them to repent because they will have no chance after death to repent and avoid the rich man’s torment Rich man doesn’t want his brothers to repent. He is asking Jehovah to have Jesus’ disciples to water down their judgment messages so his allies won’t be tormented by them as he is. Why Abraham refuses The brothers wouldn’t repent even if someone returned from the dead. Their only hope is to heed Moses and the prophets God will not provide special signs or miracles to convince the brothers. Their only hope is to heed Moses and the prophets. 19 “There was a rich man, who was clothed in purple and fine linen and who feasted sumptuously every day. 20 And at his gate lay a poor man named Lazarus, full of sores, 21 who desired to be fed with what fell from the rich man’s table; moreover the dogs came and licked his sores. 22 The poor man died and was carried by the angels to Abraham’s bosom. The rich man also died and was buried; 23 and in Hades, being in torment, he lifted up his eyes, and saw Abraham far off and Lazarus in his bosom.